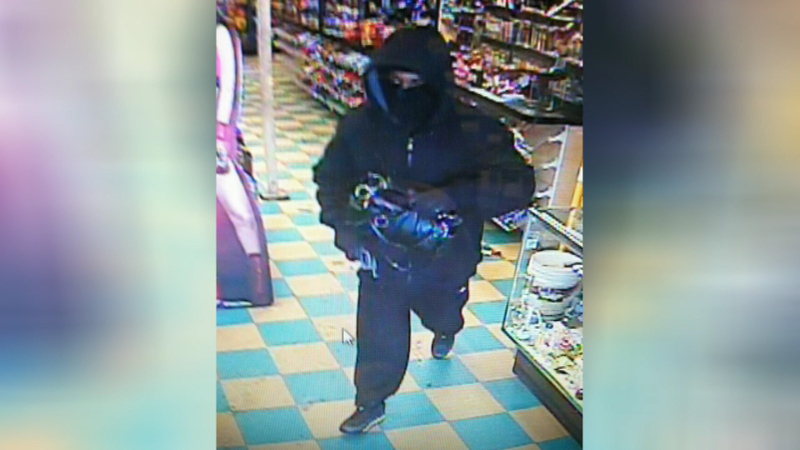 Gages Lake police released a surveillance image of an armed robbery suspect. GAGES LAKE, Ill. (WLS) -- Police in north suburban Gages Lake are searching for a potentially dangerous armed robber. Police say the man pulled a gun on a convenience store owner's wife Friday morning. He forced her to empty the cash register, then stole her purse. The thief got away with around $200.